A growing trend in properties across the country is for households to expand and encompass several generations. Adult children are moving back home, while older parents may no longer want (or be able to) live on their own. It is becoming very common for homes to grow into a multi-generational environment. This type of situation can have many benefits for all of the parties involved. It gives family members the chance to spend valuable time together and share memorable experiences that they may treasure for a long time. At the same time, this may be a more economical and practical alternative than having various factions of the family living in separate households. By pooling their resources and eliminating expenses, the members of this combined household may be able to enjoy a higher quality of life and better standard of living. However, there are also some important issues that must be considered. Creating enough space for everyone to live together in harmony in a comfortable and efficient way may quickly become a challenge. It is possible that the home in its existing format doesn’t meet everyone’s needs. There may simply not be enough room, or the layout may not be ideal for the family’s new makeup. Depending on the age and physical limitations of the family members, there may also be safety concerns to address. The good news is, many of these issues can often be solved with strategic home remodeling moves. 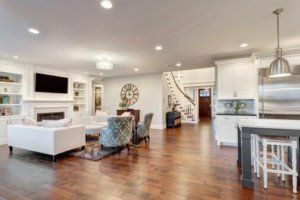 Making a few smart changes in the layout or design of the home can make a big difference in how the space functions, and how it works for the family living there. In some cases, a home addition may also be a great solution. A first-floor in-law suite is also a popular option to address the needs of older family members. Multi-generational home remodeling in Phoenix and elsewhere is becoming increasingly common, and we have embraced this trend. RW Remodeling can create a new space that works for all of the members of your family.